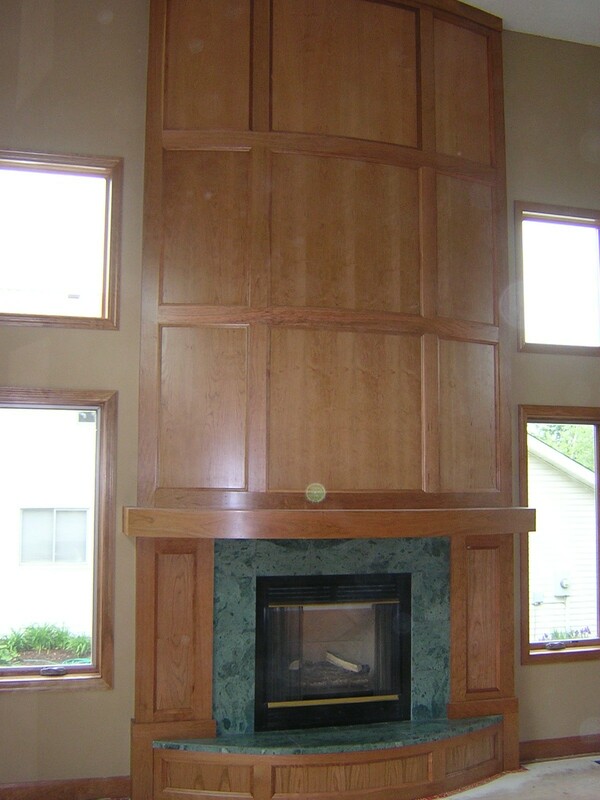 Kim and Robert’s remodeling story started with windows and ended with new doors, new woodwork, and a new fireplace. The windows of their Prior Lake home were installed incorrectly when the house was built in 1996 which caused them to leak and warp, making them very difficult to operate. The husband and wife discussed their window issues with Doug and came up with several options. They could have their new windows custom made to fit the original openings, or, as Doug suggested, they could use stock window sizes and adjust the frames as needed. 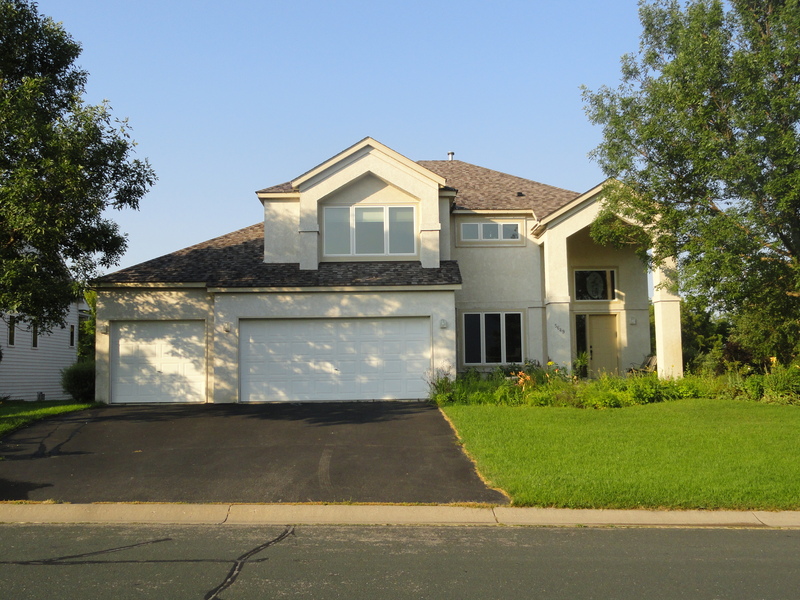 Since the siding needed to be replaced and the couple was already planning on repainting the interior of the house, the second option was both logical and more cost effective. Robert had always dreamed of installing more cherry woodwork on the main floor to match the cherry woodwork in the kitchen. Removing the window trim for the window replacement gave him the perfect opportunity to upgrade the rest of the main floor interior trim to cherry wood as well. This then led to replacing the original hollow core oak doors with solid raised panel cherry doors on the first floor and solid oak paneled doors on the second. After upgrading all the woodwork the couple moved on to a bigger project. “The main floor fireplace needed help. We had this curved front fireplace that just didn’t look right. It had the potential to be very cool and unique, but I just couldn’t figure out how to get it there,” Robert remembered. The couple showed Doug and Gabe, the trim carpenter, some pictures from a magazine and after discussing a few options, they went straight to work on a mantle and new paneling. “That night, when we got home from work we saw the curved mantle and the panels on each side of the insert and loved it. In the morning, when Doug and Gave arrived to work, we again talked about more ideas of what else we could do to step up the cool factor. We decided that they should panel the whole fireplace, all the way to the ceiling. Keep in mind, paneling over a curved wall is not easy. They did a phenomenal job and the fireplace is amazing, ” said Kim. To put the fnishing touches on the remodel, the couple had Doug upgrade the vinyl flooring in the kitchen to teak wood flooring, add teak wood flooring to the main office, and repaint all the interior walls.